The exocrine pancreas plays an essential role in the digestion and absorption of nutrients. For this reason, and even though disorders affecting this organ are uncommon in clinical practice, they are still relevant. Exocrine pancreatic insufficiency usually results from a range of conditions that cause a progressive deterioration of the exocrine pancreas. Such conditions include chronic pancreatitis, cystic fibrosis and pancreatic cancer. 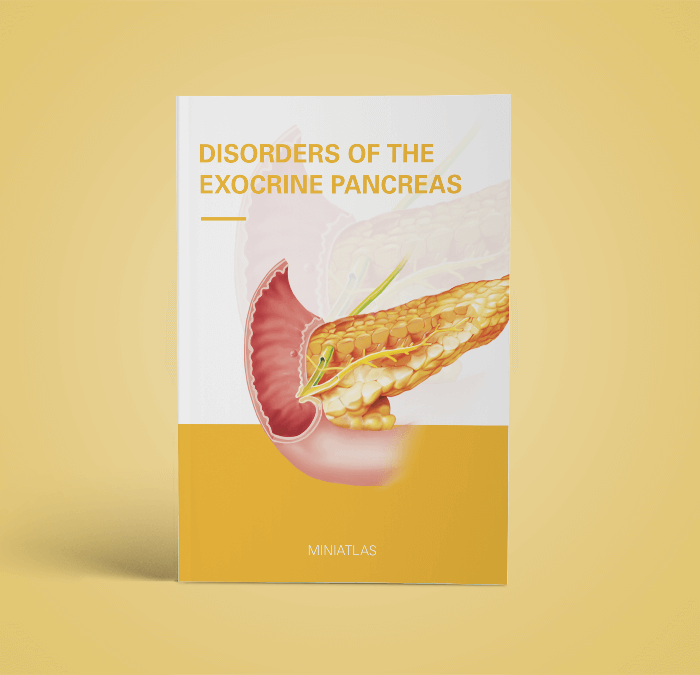 Learning about the normal function of the exocrine pancreas and its role in the digestion of nutrients is the first step in understanding the physical and pathological mechanisms of this disorder. 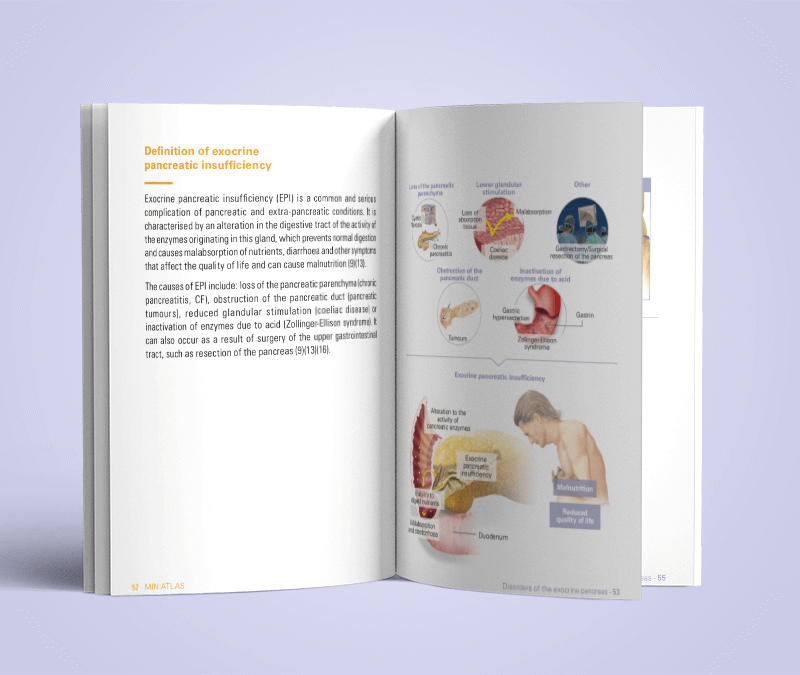 Disorders of the exocrine pancreas is part of an extensive collection of illustrated medical atlases (Miniatlas Collection) covering generic specialties to specific diseases, created to facilitate doctor-patient communication.